We are in the home stretch of Market prep, and looking forward to having all the work behind us soon! 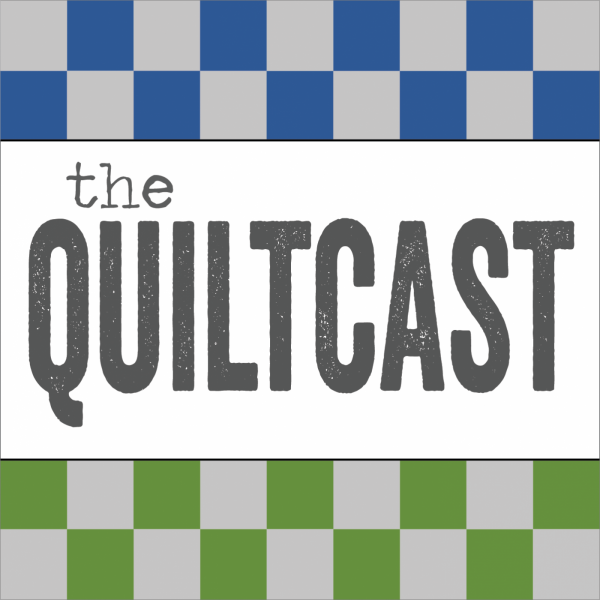 Today we talk about some of the quilting lessons we’ve learned the hard way, and share our blunders with you. Share your lessons in the comments! Modaland at Market – look for us in booths 234 or 435 and the Schoolhouse starts at 4:05pm. Come say hi, if you are there. Checking tension on the long arm. New machine, new 1/4″ test – even for a new block! Here’s a link to my method. Sewing with pins. My favorite pins right now. Strip piecing diamonds. My labor of love – not strip pieced. Mirror blocks, make sure to draw the 45-degree line opposite for the right composition. 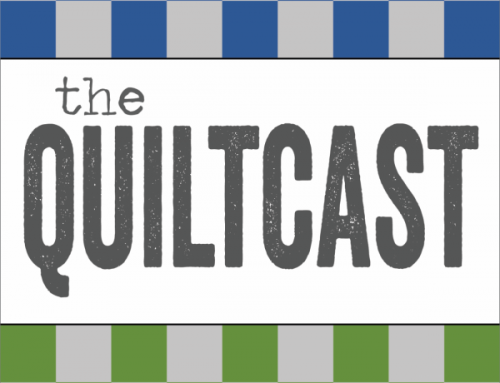 Blogger’s Quilt Festival is coming next week! All the details are available here. Please share in the comments, your lessons learned so we can all keep learning more together! *Some of the links used are affiliate links and help support the on-going costs to produce Quiltcast – Thanks! I learned a new trick for doing echo quilting, especially around applique on a large quilt (where the applique only fills a small space) — go in sections. In other words, don’t feel you need to shove the whole quilt through the arm/throat of your machine in order to get around to the other side of the applique. Instead, quilt the sides that are easy to reach, locking stitches at each end. Then reposition the quilt so that the other sides are able to be quilted without having the whole quilt inside the arm/throat. Lock stitches again, starting and stopping at the same start/stop points. You end up with what looks like seamless quilting, with a lot less hassle!